12/02 11a-5p Dancing Along the Seine Necklace with Diane Whiting - Bloomin Beads, Etc. Twilight on the Left Bank and shimmering crystals flash in the setting sun as you twirl and twirl! Color lined beads create an intriguing optical illusion. 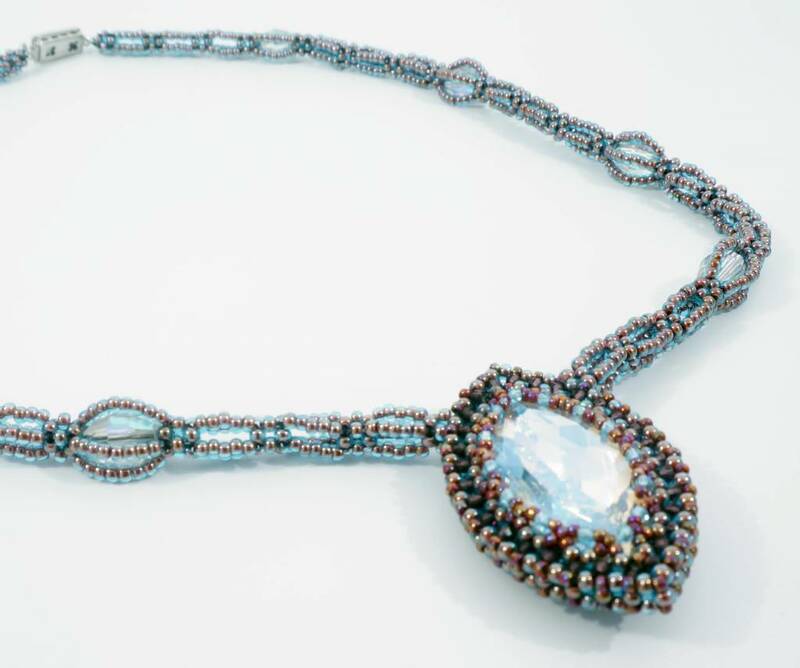 The large Swarovski marquise stone is bezelled with 2 mm crystal accents and the necklace captures oval crystals in beaded cages. Diane will be live in the store, but you can participate remotely via the internet if you can't join us at BBE. Enjoy learning this new design with us and have fun at the same time! Stitches: CRAW versions (Cubic Right Angle Weave), Netting. NOTE: Previous CRAW experience is REQUIRED for this class!